U-37 with J.W. 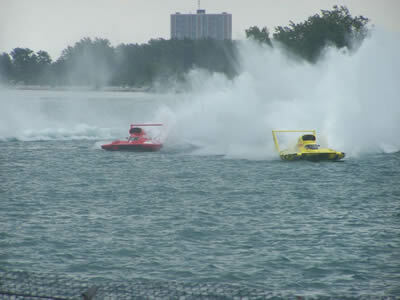 Myers shortly after crashing off the Roostertail seawall. U-37 Miss Peters And May driver J.W. Myers pops open the hatch shortly after crashing off the Roostertail seawall. Myers lost his skid fin before entering the Roostertail turn. U-37 driver J.W. 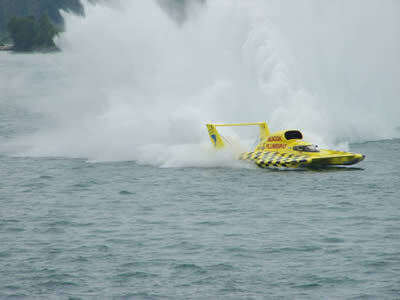 Myers waits for the safety crew shortly after crashing off the Roostertail seawall. Myers lost his skid fin before entering the Roostertail turn. 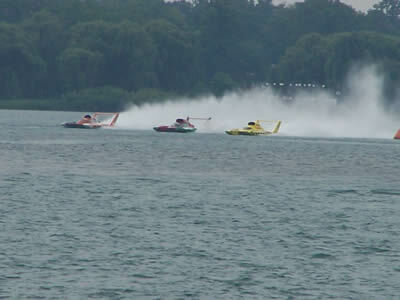 Safety crews arrive to help U-37 driver J.W. 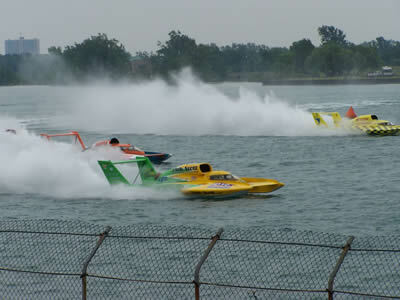 Myers shortly after Meyers crashed into the Roostertail seawall. Myers lost his skid fin before entering the Roostertail turn. The DYC logo is applied to the U-37. 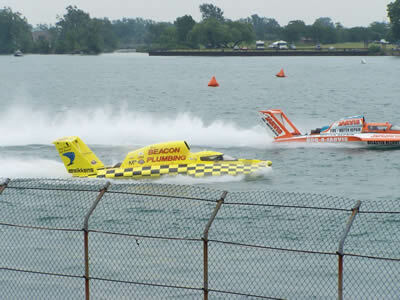 U-37 Beacon Plumbing loses the cowling entering the Roostertail turn. Jean Theoret HAD to win Heat 4B...and he did. 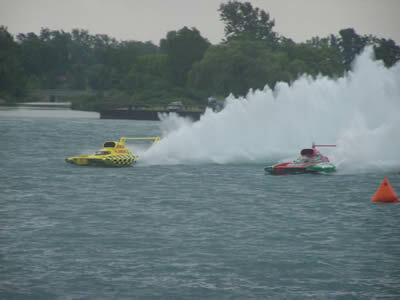 Mike Weber charges hard through the tight Madison corner in the U-5 Bello's Pizza/formulaboats.com. Jean Theoret in the U-37 Beacon Plumbing follows. Billy Schumacher's U-37 Miss Seattle arrives. 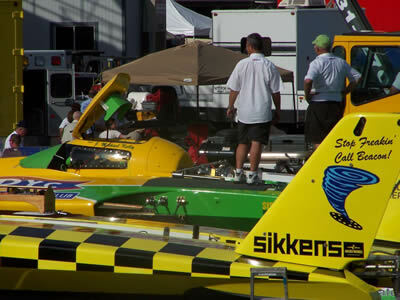 The boat was sponsored by Beacon's Plumbing in Madison for 2006. Lap 1 of Heat 3A. 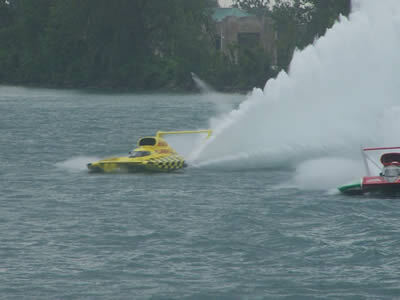 Llumar and E-Lam head full speed for the famed Roostertail turn. They run 'em close in Detroit! The Llumar's sponson shatters, ending Jean Theoret's day as well as Jimmy King's. King was disqualified for not leaving enough room in the corner. Jean Theoret steers the broken Llumar back toward the pits. The right sponson is gone off the U-8. Debris from the Llumar's sponson was everywhere.